Trip 1 – We are back in the Bahamas for our 28th field season study the Atlantic spotted dolphins. First encounter with two mother/calf pairs, Venus/Val and Naia/Nematocyst. Venus is looking pregnant as she swims along side her 2-year old, and still engages us in a game of keep away with sargassum. Her son Val is also gaining new spots and will soon likely join a young male group when his new sibling is born. Nematocyst has a dramatic shark bite on his dorsal fin. Although sharks area normal predator in the dolphin’s environment, we can’t help but notice one of the local dive boats anchored and feeding sharks in the area. His bite is raw and ragged but it does not look life threatening. He seems a bit shy and his mother Naia is protective as female dolphins often are, especially after an injury like this. Trip 2 – We have had some nice spotted and bottlenose dolphin sightings early in the trip. Mid trip Tropical Storm Beryl formed right over us and we ran for shelter into the harbor as the storm formed and past by. It’s a bit early for this kind of serious tropical weather since hurricane season really doesn’t officially start until June 1. Our group of young interns and students weather the storm well and spent their time reviewing their dolphin identifications as part of their learning experience. As a special treat we were able to observe some pilot whales in the Gulf Stream on our way to the Bahamas!! Trip 3 – Back out in the field for another trip after two trips in May. The weather is still a bit challenging but we have been seeing many of our regular and familiar dolphins. It is shaping up to be a good year for calves, perhaps even a record-breaking year. Caroh has a male calf we have named Cobalt, Nassau also has a new male calf, Nautilus. We are testing some new prototype equipment this trip, with colleagues from Hawaii, Hong Kong, and Atlanta. After some frustrating tries with leaking equipment we continue to work on it through the week. Trip 4 – More calves were seen this trip increasing our total to four so far. Little Gash’s daughter Laguna has a new female calf, Lowell, making Little Gash a grandmother once again. We have also been seeing some familiar bottlenose dolphins too. The weather is still a bit disturbed and sure enough Tropical Storm Debby forms in the Gulf of Mexico while we are in the field. Usually not an issue for such a distant storm, this time Debby has churned up fierce winds even from the Gulf of Mexico and we find ourselves stuck in port for 4 days. We make the best of it, reviewing video and swimming in the pool at the local hotel to stay cool. This is the first time we have ever had to stay in port for such an extended period of time, and we are also late in returning back to Florida, as the Gulf Stream was too rough to get home. Trip 5 – Another July in the Bahamas finds us working in 90-degree heat and water temperatures around 86F, typical summer time. Although we have had constant winds this trip, we have had some nice, close encounters. We watched as Caroh taught her new calf, Cobalt, how to play with sargassum, a favorite dolphin toy. Meanwhile Brush and Paint, two northern females have shown up with other dolphins in their group. It’s nice to see they are still around and Paint, a grandmother many times over, also has a newborn, Pistol. Sadly we have been monitoring another northern mother, Trimy, http://premier-pharmacy.com/product/xanax/ with her two-year-old calf, Tribble, with a horrible injury to her rostrum (beak). Although Tribble looks healthy, somehow her skin on her upper jaw has been peeled back. We can only imagine something sharp like fish line that would be able to cut through so cleanly. We will monitor her through the rest of the summer but so far it looks like this wound is not infected and that she can still nurse, and hopefully catch fish in the future. Trip 6 – Finally after two months of challenging weather we had the perfect weather trip. Quiet winds, a light breeze, puffy light clouds on the horizon, and beautiful gin-clear water. We are still seeing most of our central and northern dolphins but I am starting to get worried about the southern group. Venus and Naia are the only northern mothers we have seen so far, and it’s getting late in the season. Although harder to find sometimes, the southern group consists of 20 or so dolphins, many that were pregnant last field season, so we hope to be able to check in on their progress soon. Interestingly, one of our favorite young female dolphins, Amanda, is finally pregnant. 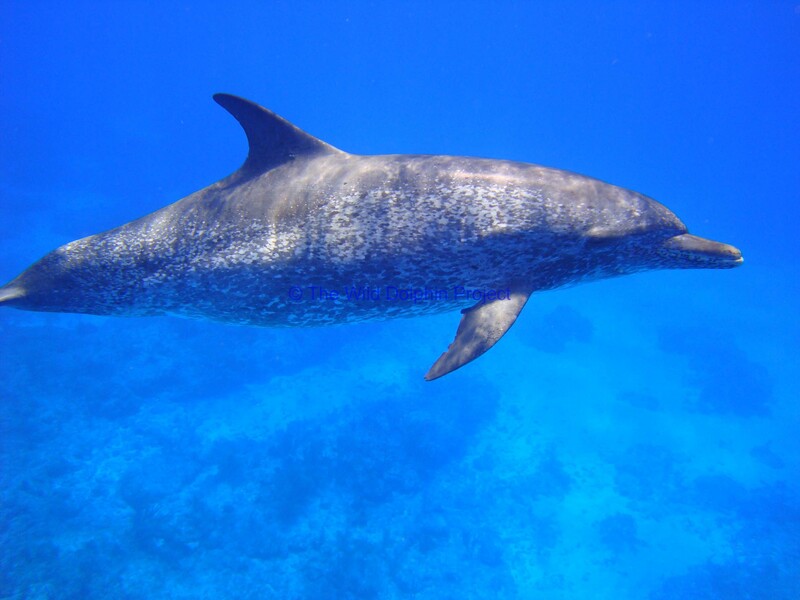 Known for her friendly nature and interest from the male dolphins in the group, we are not surprised she will finally become a mother at the age of 10. Trip 7 – At the beginning of this trip I decided to work down south a bit to try to find our regular southern dolphins still missing from our sighting list this summer. Sure enough, our first day as we got underway there they were. Flying A has a new calf; Summer is also with a newborn yet her two-year-old Shades continues to create havoc. Younger females including Freedom, who lost much of her fluke to a couple shark bites, is also pregnant for the first time. Later in the trip we see Venus again, swimming along side Fudge, who is also very pregnant. In fact, these females are about as pregnant as we have ever seen. It is likely they will give birth soon given their size. Although gestation is about one year long, and most of the dolphins give birth in the spring and fall, Venus is one dolphin who has, in the past, had an August birth. We will see if there is any new calf on the next trip when we return. Calf count now is up to 10 newborns, matching a record for us over the 28 years of observations. The past couple field season we have had many pregnant dolphins, but not too many successful births. Since the hurricanes of 2004/2005 the dolphin community has been in need of new recruits due to their decreased numbers, so we are happy to see the new young dolphins rebuilding the population here. Trip 8 – The last trip of our field season was just getting started when another hurricane got in our way. Although we got to see our dolphins for a few days, storms and potential threats chased us back to Florida for safety. Thus ended our 2012 28th research field season. 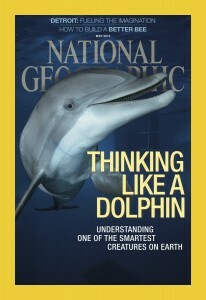 All in all it has been a good season, with record numbers of calves and normal dolphin behavior. Let’s hope that Mother Nature gives this community a break from storms this fall. October 25, 2012 – As I write this Hurricane Sandy is moving through the Bahamas getting near to our study site. A late season storm, Sandy is a bit unusual but not unknown for this time of year. Hopefully it will keep moving rapidly without affecting our study site to any great impact. This time of year calves are being born and just learning how to swim and socialize. Unfortunately we won’t be back in the Bahamas until next May, so our thoughts go out to the dolphins and the Bahamian Islands for their safety and survival. Hopefully they are just surfing some good waves!